Beauty has a name, and it’s Jare Ijalana. 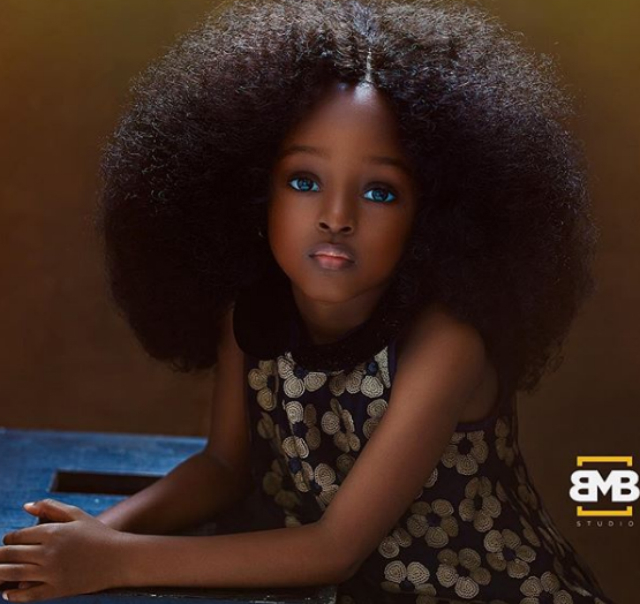 This 5-year-old Nigerian girl is being hailed as the world’s most beautiful girl after photos of her surfaced online. Jare certainly has piercing eyes that draw you into the scope of things. The little one’s poses are also pretty amazing as she gives just enough poise to the camera in the pictures. “Oh yes, she’s human,” Jare’s photographer, Mofe Bamuyiwa, shared online last week. “She’s also an angel,” she added. “I want to portray the interception between her childhood and adulthood so both stay timeless,” Bamuyiwa said of the poses she chose for her young model-in-the-making. Jare Ijalana has racked up thousands of likes and comments from Mofe Bamuyiwa’s Instagram page. “She is amazing,” one social media fan said. “This girl is going places,” remarked another of Mofa’s followers. Of course, there were a few adult trolls who tried to criticize Jare and downplay her beauty as “no better” than any other child. Jealousy will always abound. “All I want is for everyone to see Jare’s powerful potential,” Mofe Bamuyiwa shared. “I want the photo to speak to her when she has reached her adulthood.” Keep your eyes on this rising star!